The ALFP seeks to create a close, personal and professional network of public intellectuals in Asia, deeply rooted in and committed to civil society beyond their own cultural, disciplinary and geopolitical backgrounds. ALFP is a unique opportunity to share both “theory” (knowledge) and “praxis” (realities). 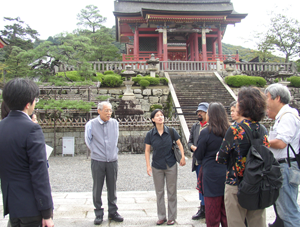 Networking and trust-building among public intellectuals and building a common foundation for civil society in Asia. Making room for alternative voices other than the current mainstream and building a platform for dialogue among these diverse voices. 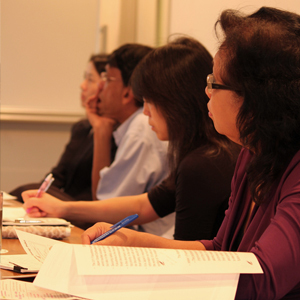 A space where voices of civil society come together to address significant new issues in Asia. Through these networks, ALFP aims to stimulate sub-regional dialogue and to be a platform for envisioning new Asia and beyond. The definition of public intellectuals featured in ALFP will shift as the meaning of “public” shifts and in joining the ALFP, the fellows themselves will be inquiring into what “public” means and what intellectuals should/can do in this globalizing world. More than 60 percent of the world’s population lives in the region called Asia, where different social institutions, economic systems, cultures, religions and ethnicities co-exist. This rich diversity includes a wide variety of problems. There is violence against human life and dignity in the form of socio-economic disparity, environmental deterioration, and racial, religious and cultural conflicts. While globalization, along with social media, apparently offers the potential for broader unity across borders, there are also many stereotypes about and within Asia that often result in mistrust, intolerance, ignorance and indifference. States and markets alone are not capable of coping with the region’s challenges. The challenges are many but should be and can be articulated, understood and addressed from the perspective of civil society. Indeed, the ALFP believes that the key to breakthrough lies in the solidarity of concerned people who recognize and respect each other’s cultural backgrounds and value systems while playing a leading role in initiating effective action. It is imperative to enhance intellectual dialogue and exchange among public intellectuals who share the same concerns about the future of the globe, and feel the need to build an equitable civil society in the region while reaching out to other parts of the world. New arenas exist for Asian public intellectuals to collaborate on and address long-standing and emerging concerns in the region from a holistic standpoint. The ALFP seeks to be a catalytic forum for public intellectuals, and to extend its reach to the larger public sphere through old and new media. The ALFP believes that the fellows’ critical voices against the status quo and proposals for alternative solutions will lead to developing new norms and value-orientations for the future of the region.